Library Day is always highly anticipated! Even going back to when I was in school, I can remember wandering the rows, pondering the possibilities of what book I might find. And once I had that book, I couldn't wait to read it and show everyone around me what I'd found. It's the same for my 4th graders. Last year, we'd come back from the library with the expectation that kids would put their library books away so we could move on. Yes, I made the mistake of thinking my fourth graders didn't have that same excitement I'd experienced as a kid. 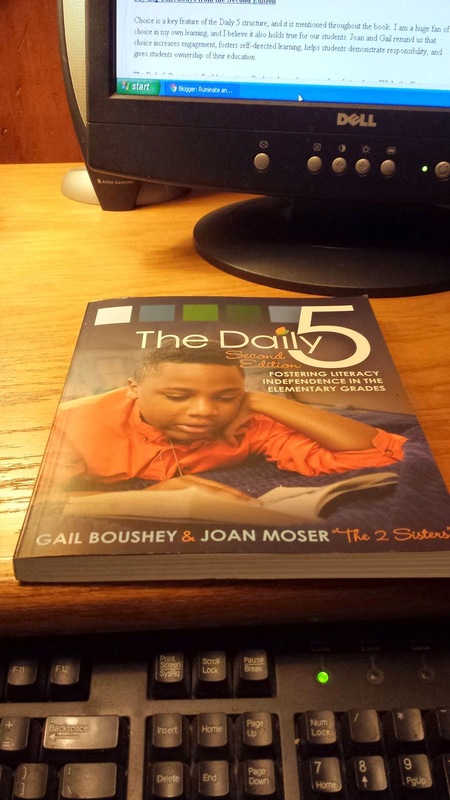 The buzz in the classroom was contagious, and we quickly adapted the routine. We'd return from our designated library time and take about 5 minutes to huddle up with a friend or two to share what we'd checked out. A few weeks later, we were on our way back from the library, heading back to our classroom to share what we'd all found. One of my boys was walking next to me and asked if we'd have time for "Book Buzz." And so you have it. Book Buzz was born. 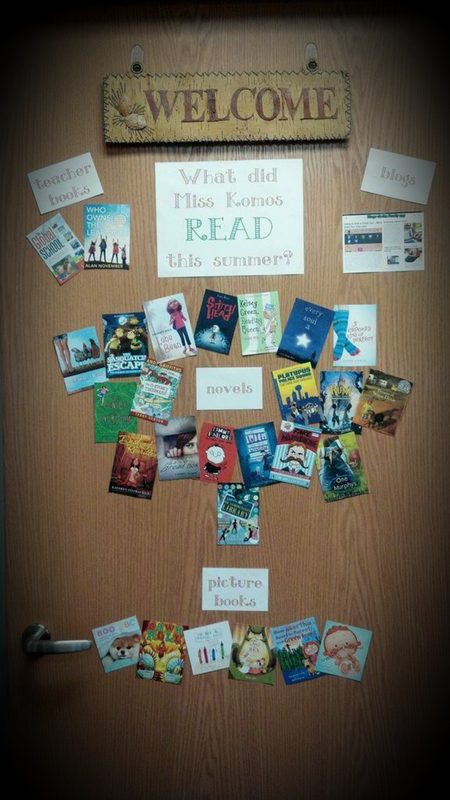 Book Buzz has become a tradition in our classroom that has carried over to my new 4th graders this year. 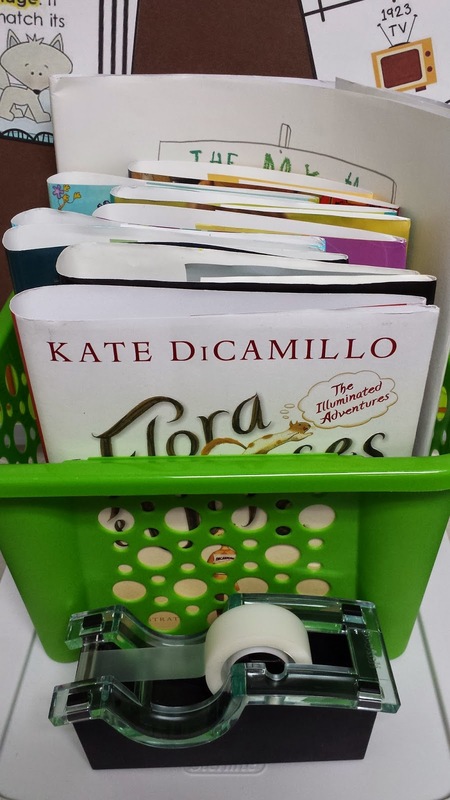 As we return from the library, we all wander around the room, chatting about which books we checked out, what new titles we discovered, and who found the next book in a series they've been reading. 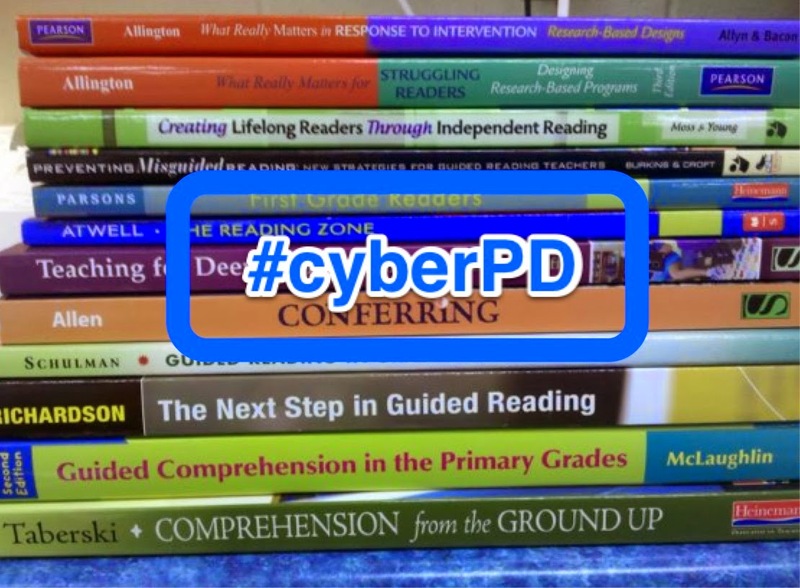 We finish up by stealing a few extra minutes of reading time before we put our books away. 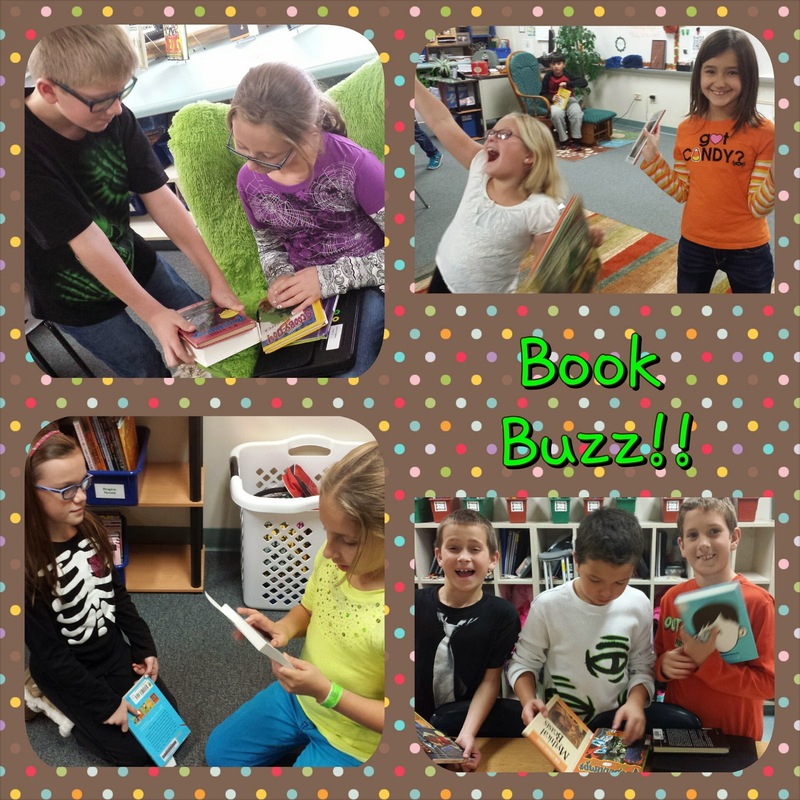 Something as simple as Book Buzz has succeeded in stirring up so much excitement about books and reading. It's definitely a routine that we'll keep! Hooray for #PB10for10 in 2014!! 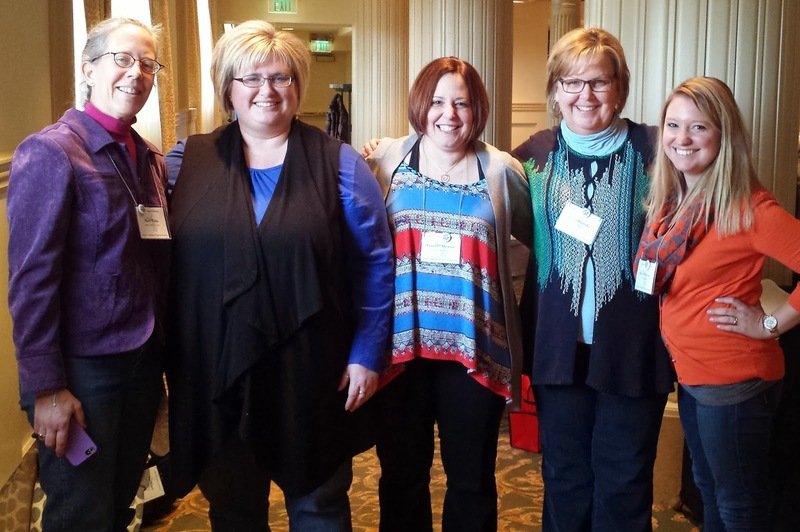 Thanks to Cathy Mere and Mandy Robek for hosting this wonderful event!! It doesn't get much better than being able to share our favorite picture books (until you start reading other people's posts... and shopping for new picture books!) 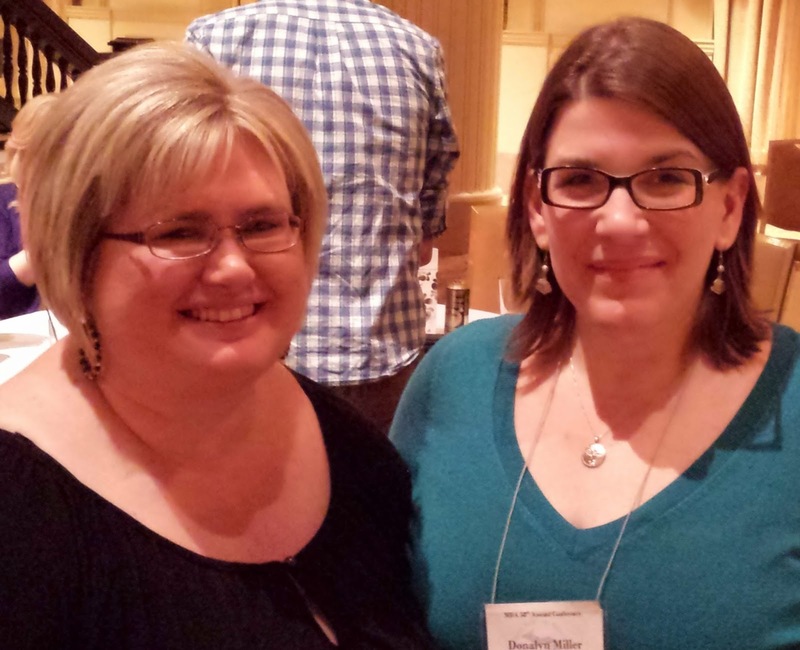 Be sure to visit Cathy's blog and Mandy's blog to see their lists and to find links to other people's posts. 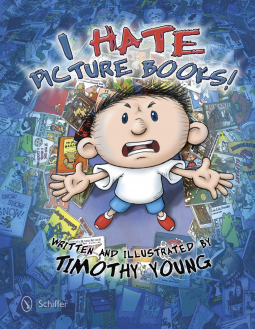 There are just so many picture books that I love and that my 4th graders love! I was having trouble picking just ten, so once again, I've decided to go the route of "New to Me" picture books for my post this year. 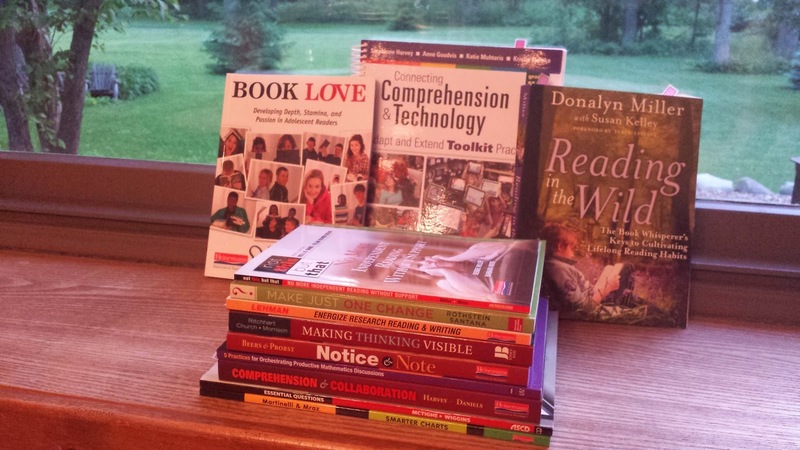 I cannot wait to share these with my 4th graders this year! 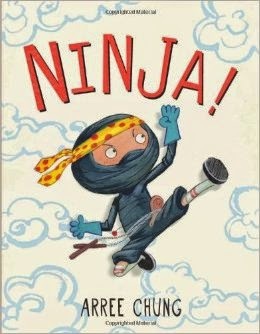 I'm excited to share this book with my 4th graders at the beginning of the year! I think it will help them see that picture books hold lots of memories for us and that picture books aren't just for young readers. I love, love, love that so many well-known books are featured in the illustrations and referred to in the story. 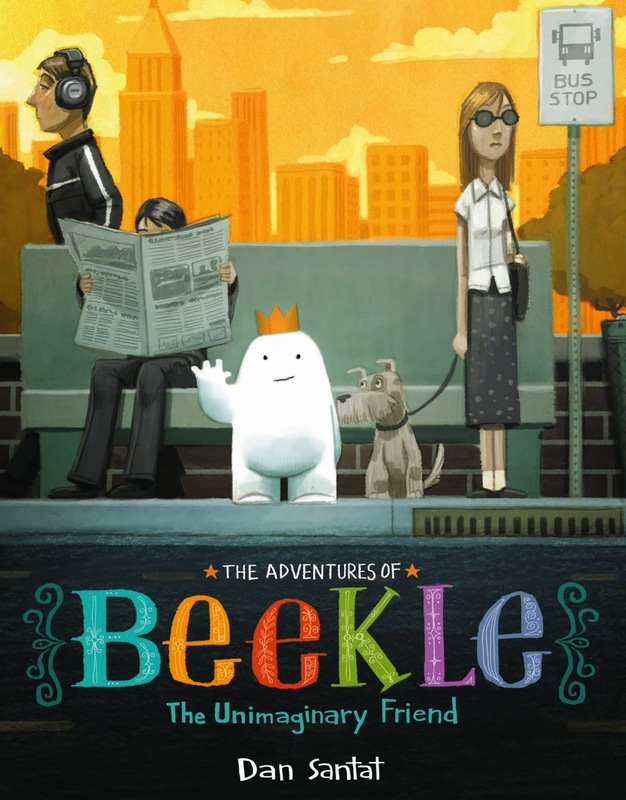 While it was Dan Santat's illustrations that first caught my eye, I loved Beekle's journey to find a friend! 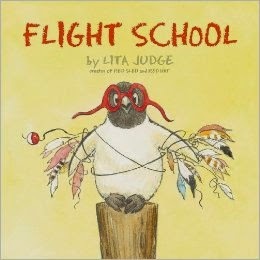 I'm a big fan of Lita Judge's nearly wordless books Red Hat and Red Sled, so I was thrilled to see this new title! Little Penguin really, really wants to soar like an eagle but has to persevere and use his creative side to make it happen. Adorable! This is a great one to use when teaching about a growth mindset. 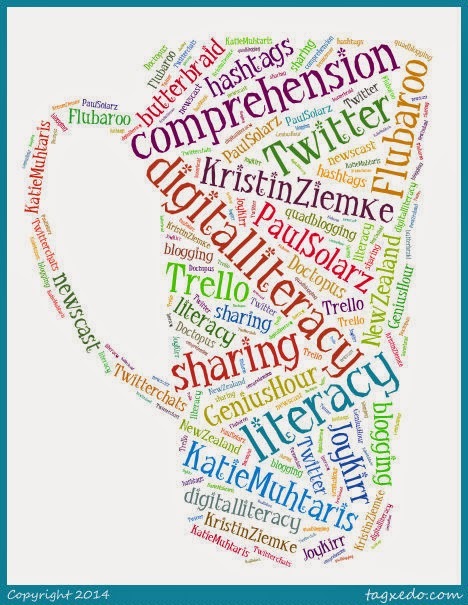 Thanks to NerdCamp, I found this gem! So many times, kids accuse other kids of stealing things before they have all of the facts. The story of a brother, sister, and a trouble-making raccoon will help teach a valuable lesson! 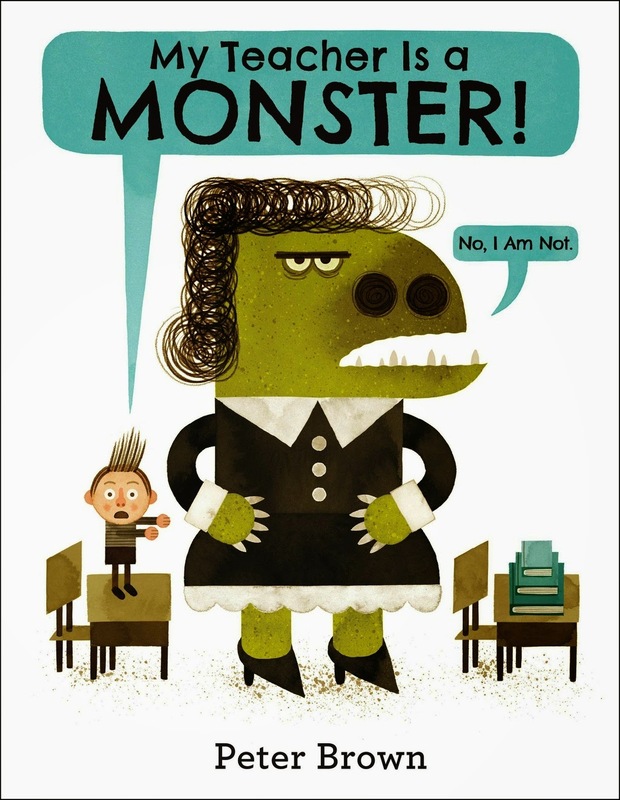 I'm a huge Peter Brown fan, and he does not disappoint in his newest book! 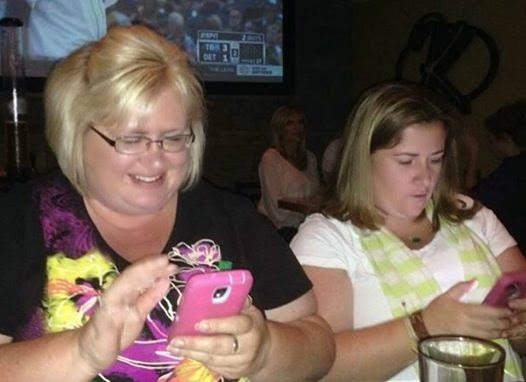 Hilarious fun! 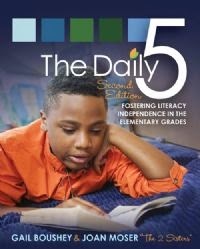 This will be a great community-building read at the beginning of the school year. With so much talk about the importance of STEM these days, I think this will become a very important title! 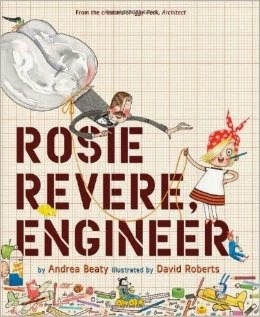 I love that it focuses on a little girl, Rosie, who designs and builds all sorts of things. There is also great potential for talking about a growth mindset with this one! How many times have we had an idea that is just going to be the MOST MAGNIFICENT THING, only to have it fail miserably? 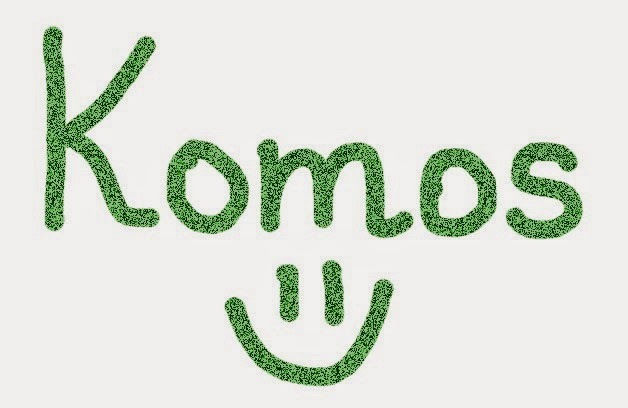 This little girl shows us how to rethink and rework our ideas. 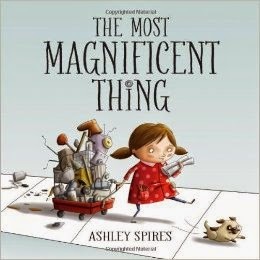 Again, a great title to help us teach about a growth mindset. This one caught my eye at The Owl and Turtle, a wonderful book shop in Camden, Maine. 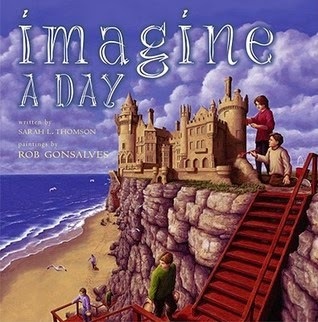 I loved imagining the possibilities that this book suggests and was truly in awe of the beautiful illustrations! I can't wait to hear my 4th graders "oooh" and "aaahhh" over this one. 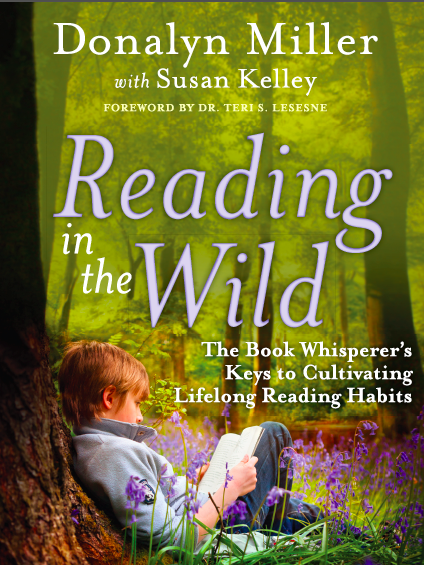 A couple weeks ago, Franki Sibberson wrote a post about sharing read aloud books "just because." This one fits into that category for me! I'm sure there are lessons I could attach to it, but it is just plain fun. It would pair well with Nighttime Ninja. Oh, how I love Elephant and Piggie! And my fourth graders loved them, too. It made my heart happy to see them grab the entire basket of Elephant and Piggie books in our classroom and read their way through each and every one of them. 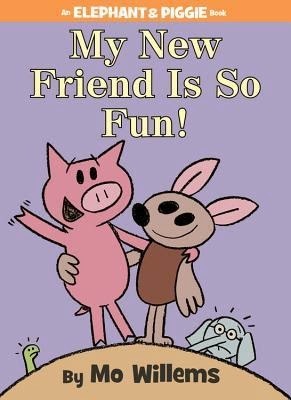 Kids will be able to relate to how Gerald is feeling when Piggie makes a new friend!